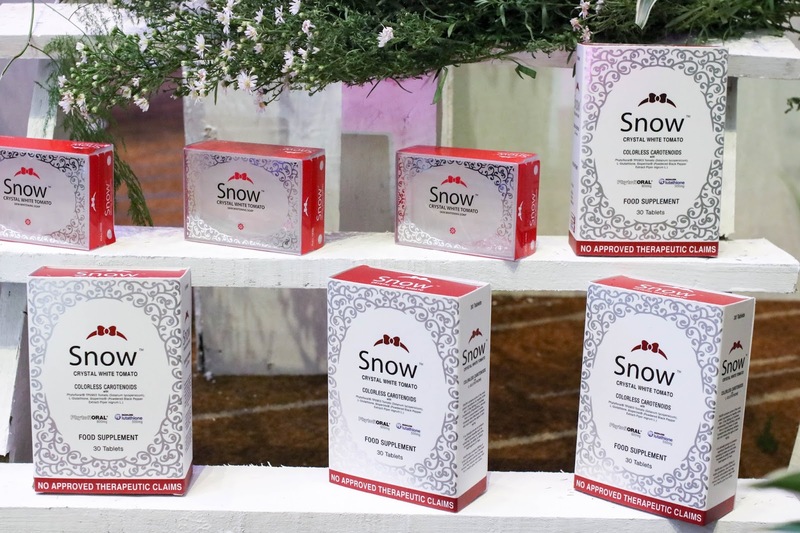 Snow just launched the newest addition to their Crystal White Tomato range, Snowcaps are a food supplement that contains phytofloral which lighten blemishes, contains spf, and reduces sign of skin aging. 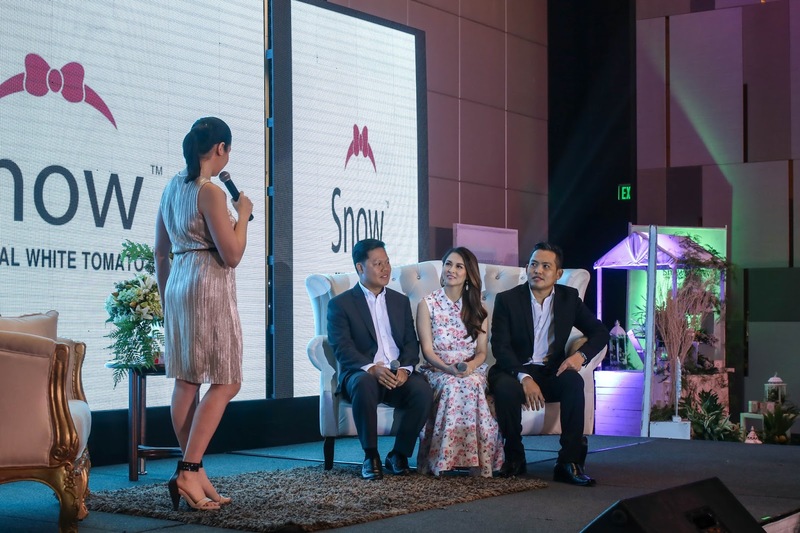 Who else better represent the brand than the Queen herself, Marian Rivera. I was given the honor to meet her and learn from her how she exudes confidence everywhere she goes. 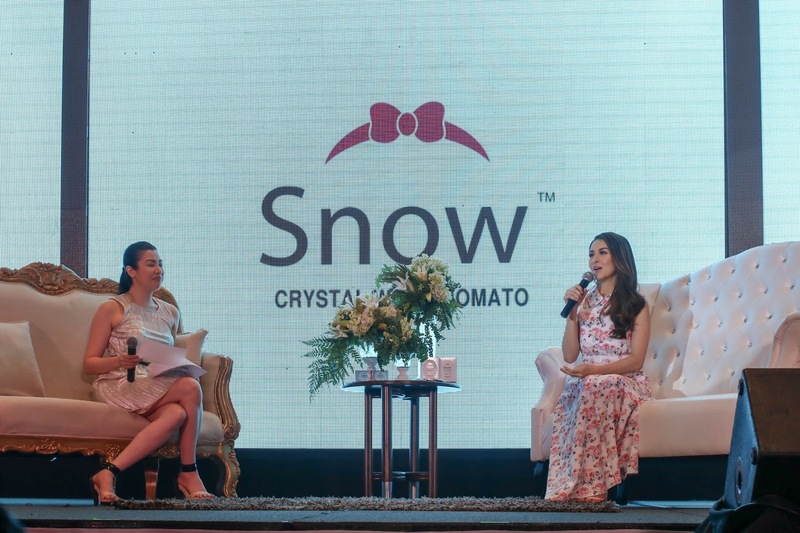 Marian shares that you have to look your best at any age. She is 33 years old and a new mother but as you can see, she still gives off that youthful glow. She doesn't look haggard at all! When you take care of yourself, you feel good and that builds your confidence. Aside from taking care of Zia, Marian also makes sure her husband gets enough attention. She even called him her second baby. She makes sure that at least once a week they go on a date. It helps her destress and at the same time, makes their relationship stronger. He constantly builds her up. Marian wasn't born into a wealthy family. She had to work twice as hard as everyone to achieve her goals. She already has a family but she still continues to work to give the best to Zia. She has to make the important sacrifices for her future but it makes her happy because it makes her feel successful. As much as everyone hates to admit it, as we get older our bodies start to deteriorate as well. There's no way to stop the signs of aging but you can slow it down with the help of taking medication. Marian always takes her necessary vitamins and also her Snowcaps once a day. It's not a drug, it's just a supplement which makes it safe to take for everyone but if you have apprehensions feel free to consult a doctor first. Marian loves being an actress because she is able to be a role model to others. It's not about fame and money for her, it's about showing her fans how to be a good wife, mother, and person.